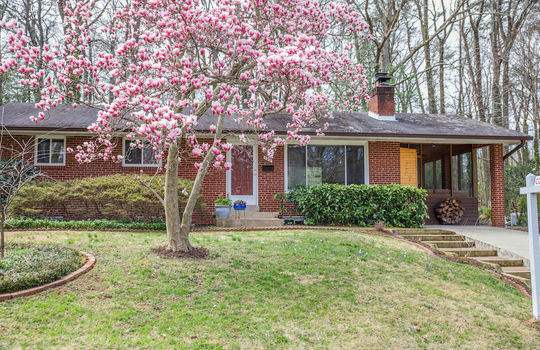 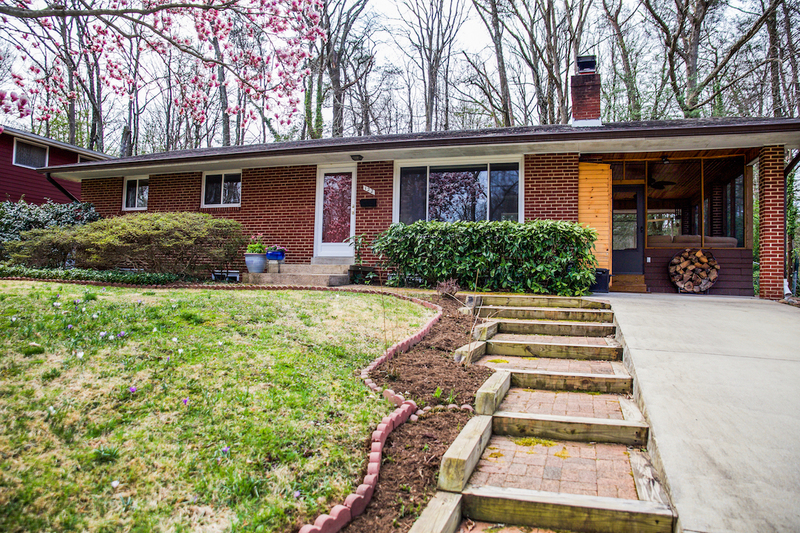 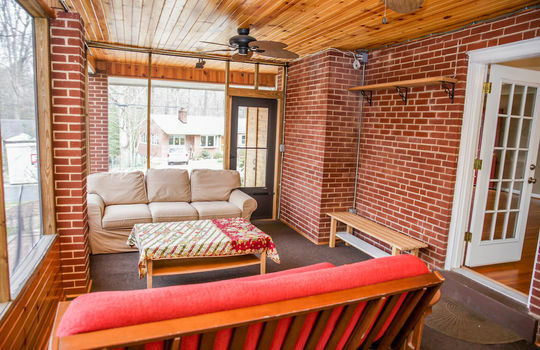 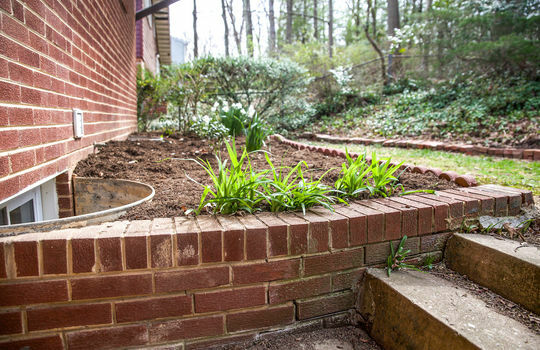 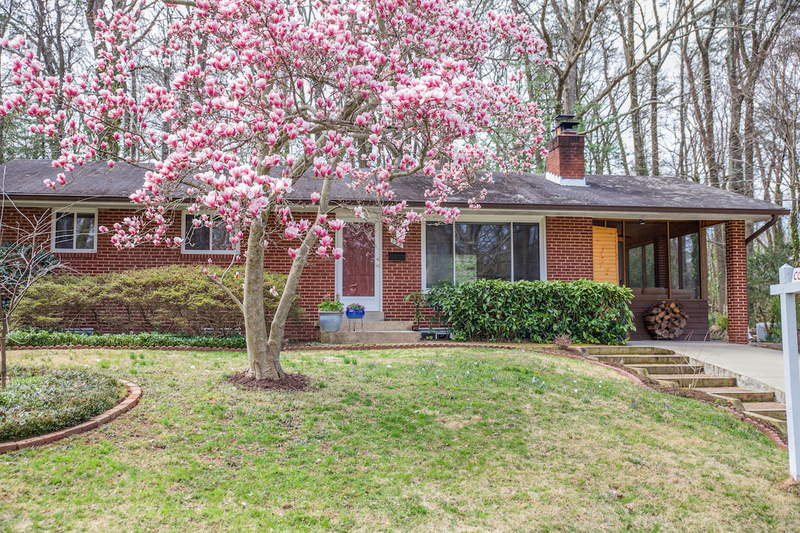 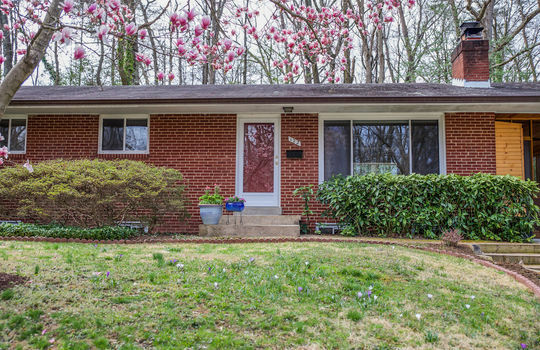 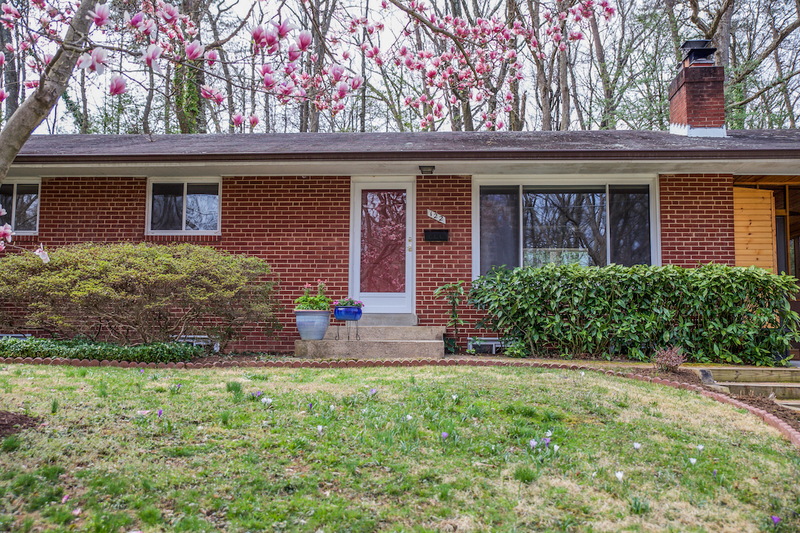 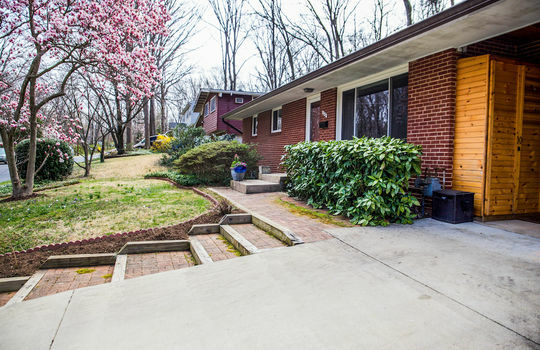 This charming all-brick home in one of Old Greenbelt's loveliest neighborhoods has everything you need for comfortable, gracious living summer and winter. 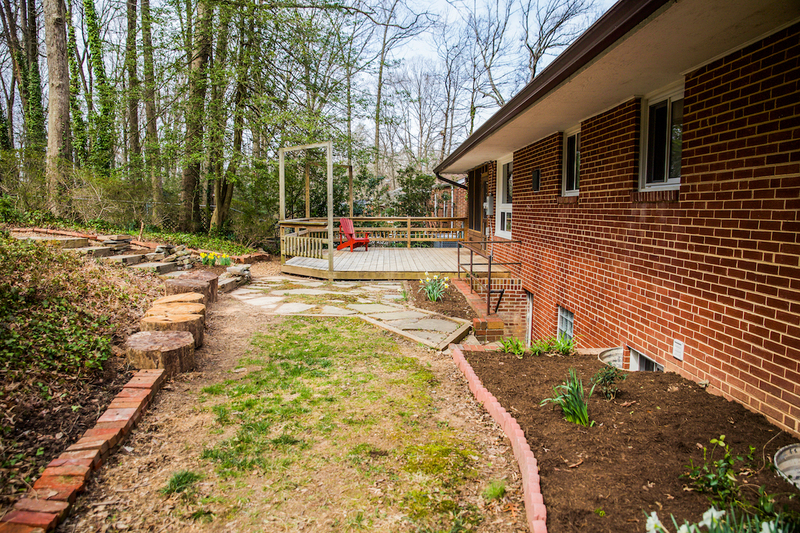 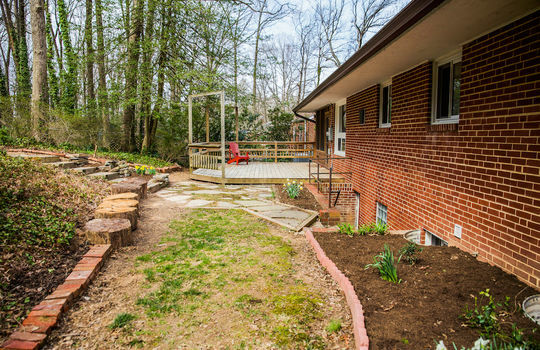 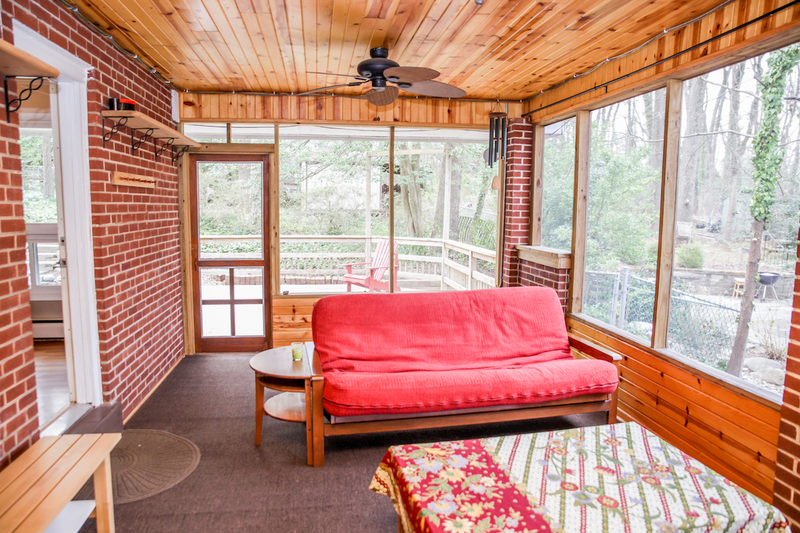 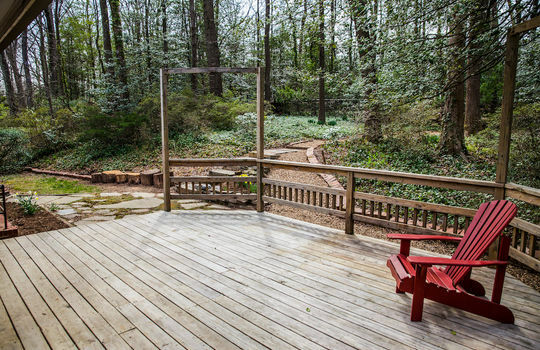 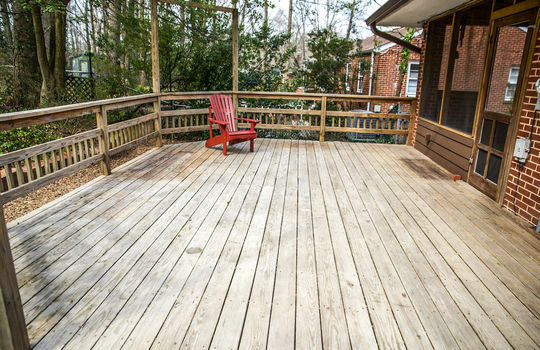 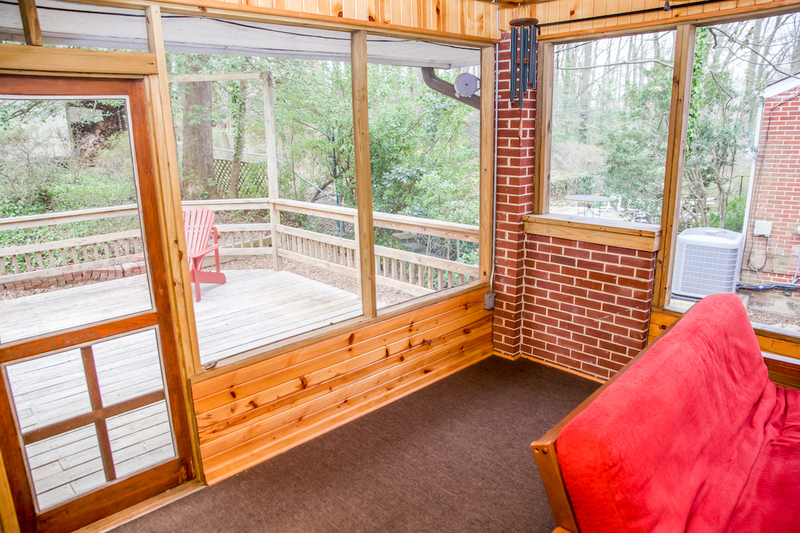 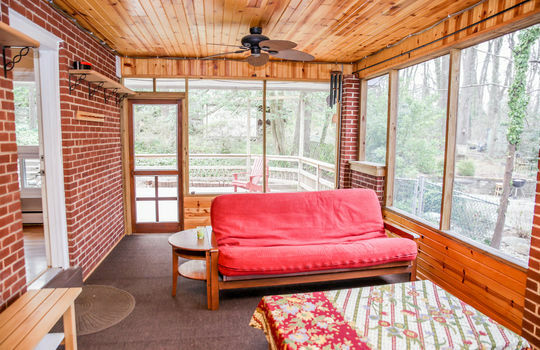 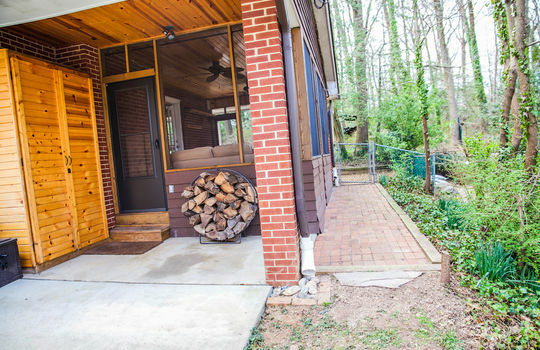 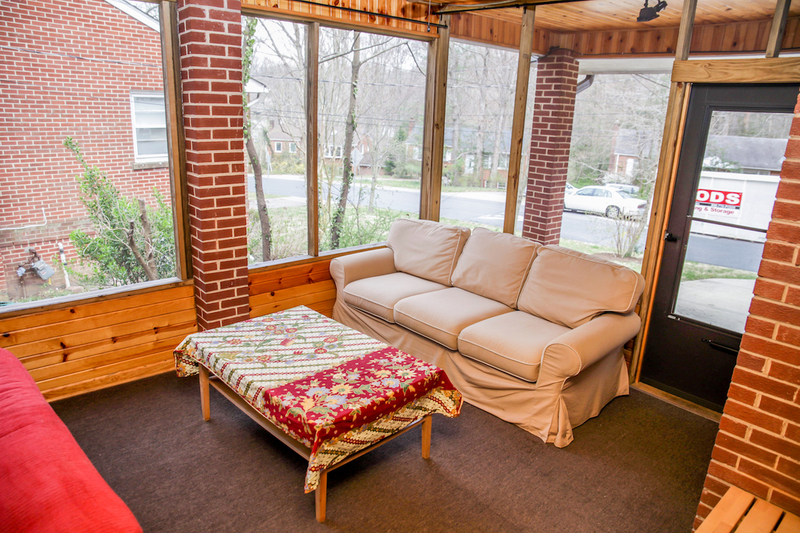 The shaded back deck is perfect for hanging out and grilling on a warm evening. The fabulous screen porch, just a step off the living/dining room, is where the next lucky owner will surely spend many relaxed hours, cool in the shade and the breeze of two ceiling fans. 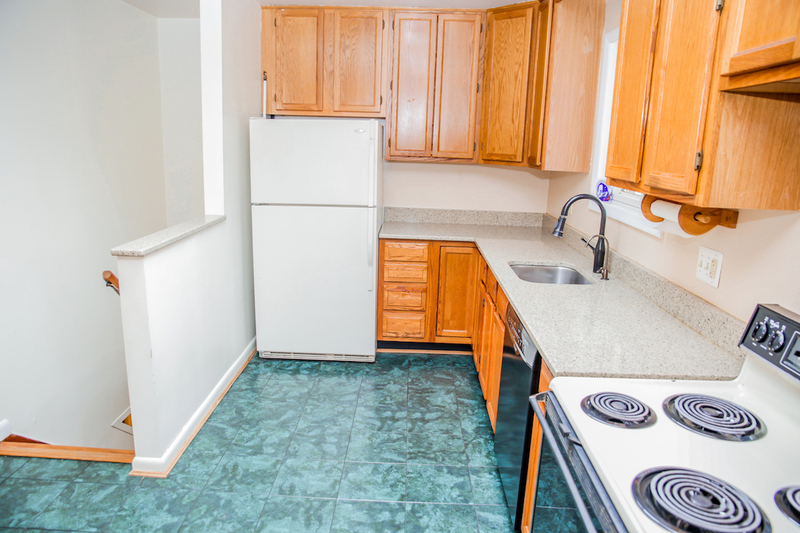 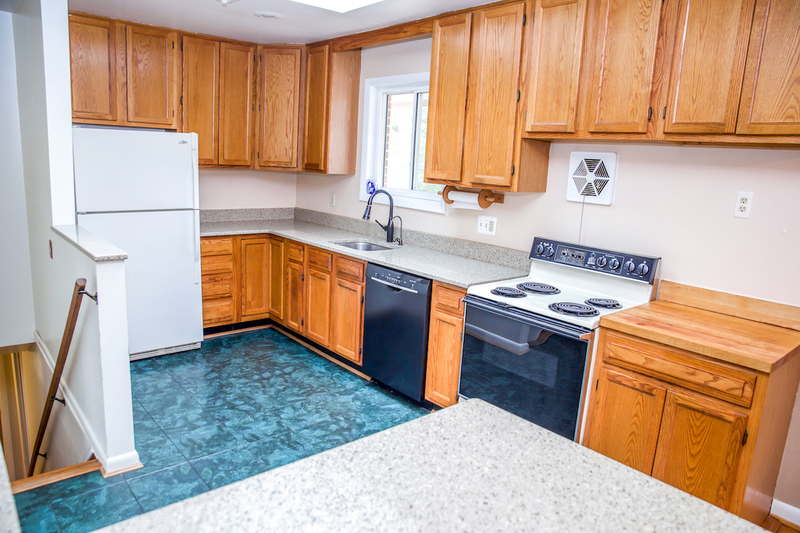 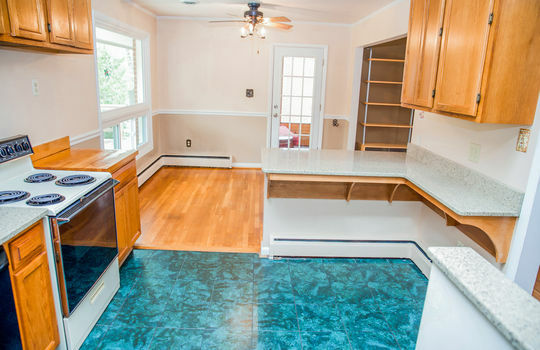 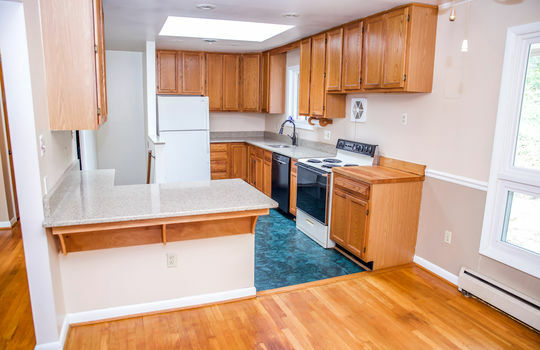 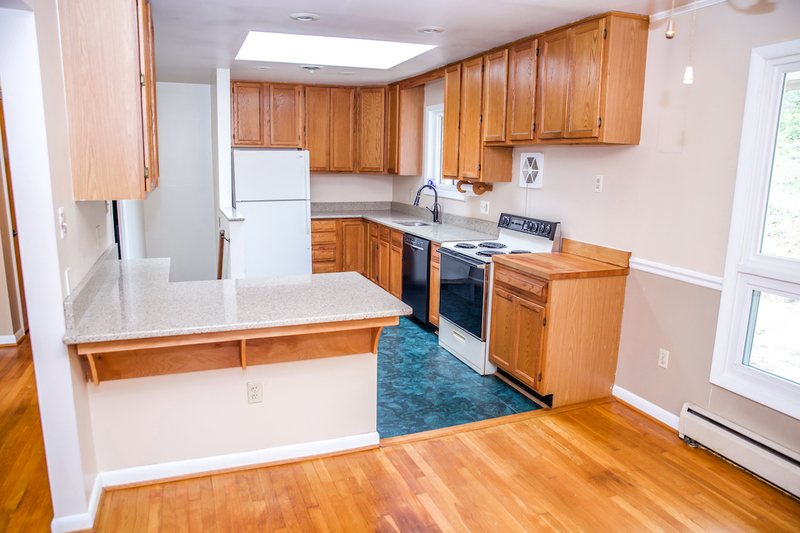 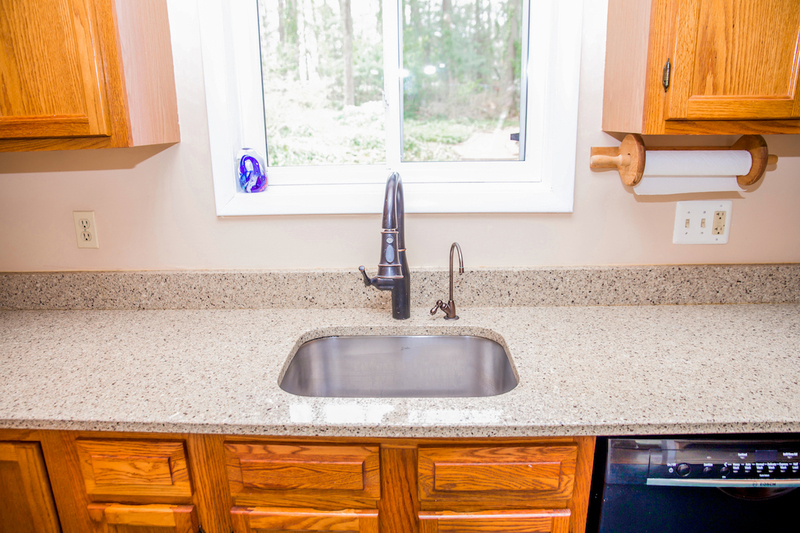 The kitchen, with its ample quartz counter space and breakfast bar, has plenty of room for an avid cook--or two! 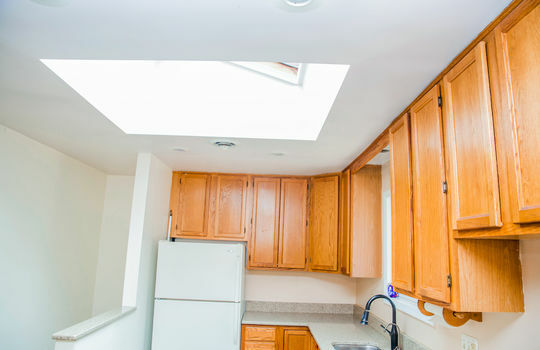 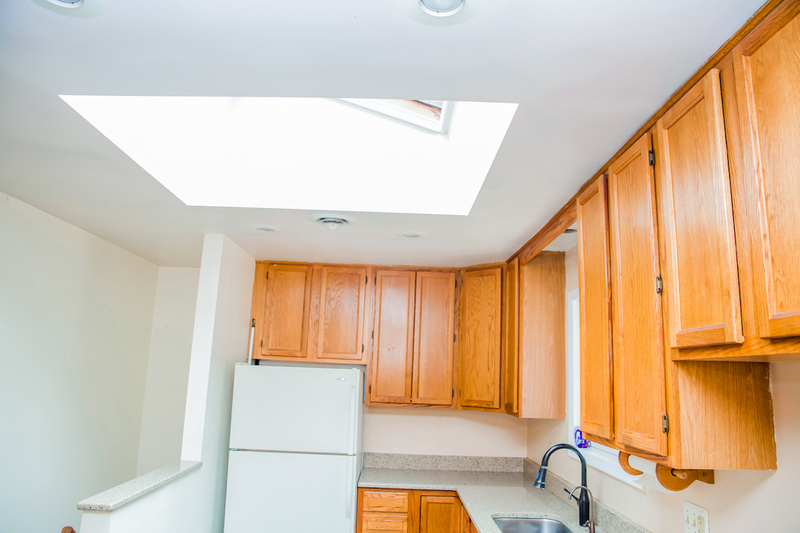 The kitchen and dining area are sunny and bright with a skylight that opens (it even has a screen!) 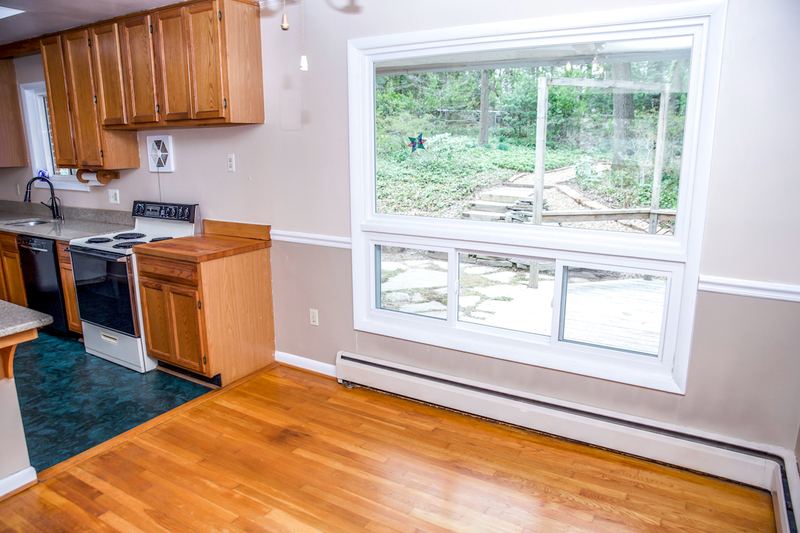 and picture window, with wooded views from the dining table. 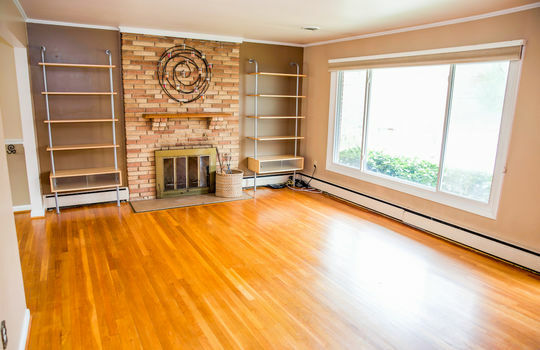 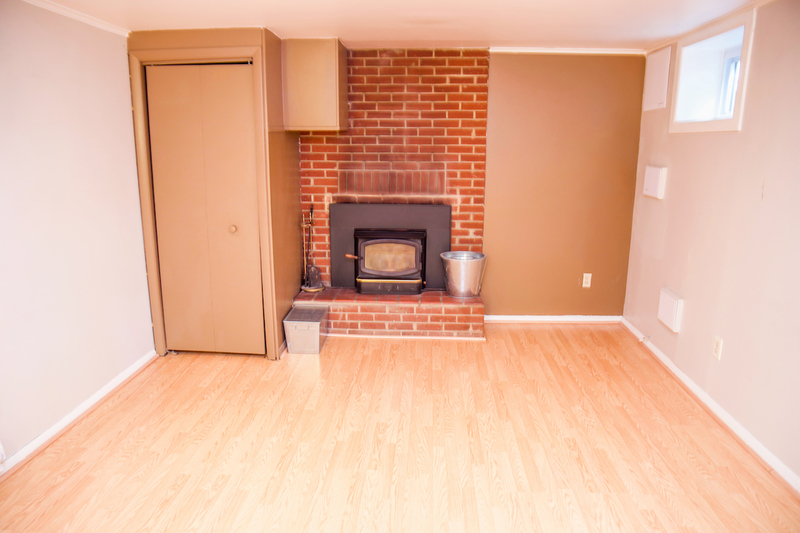 The original stone fireplace and mantel add mid-century flair to the living room. 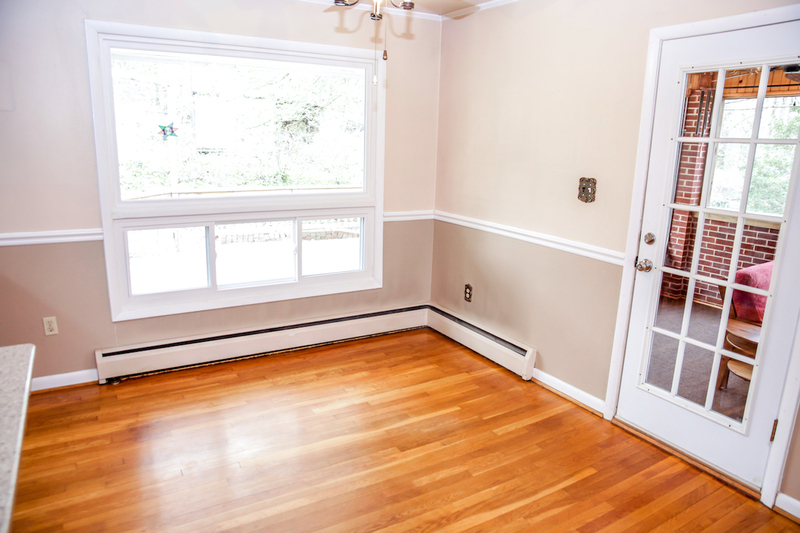 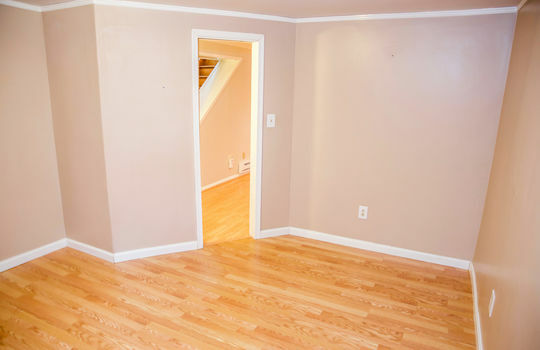 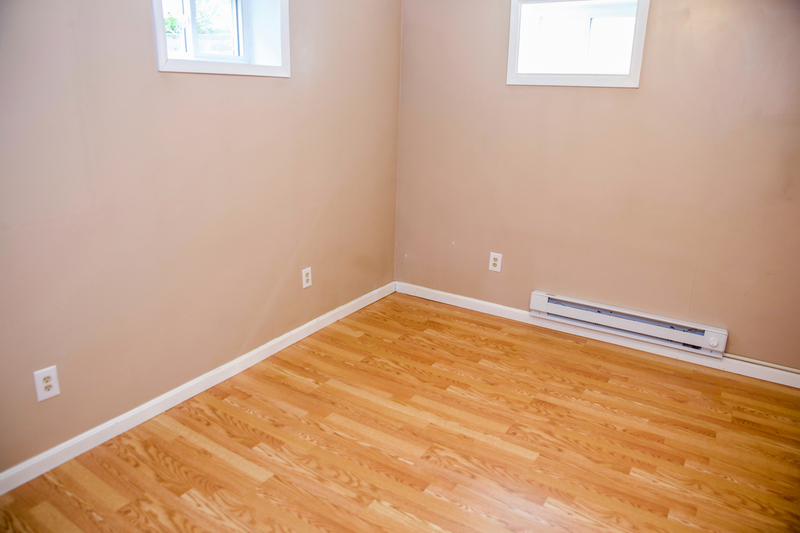 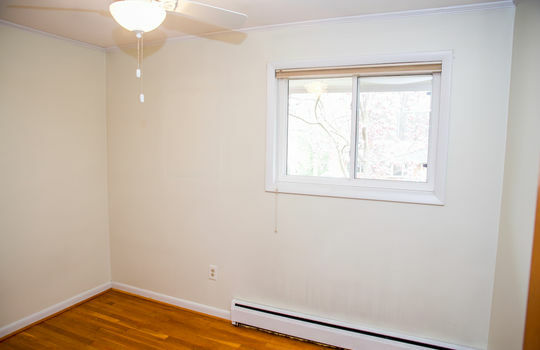 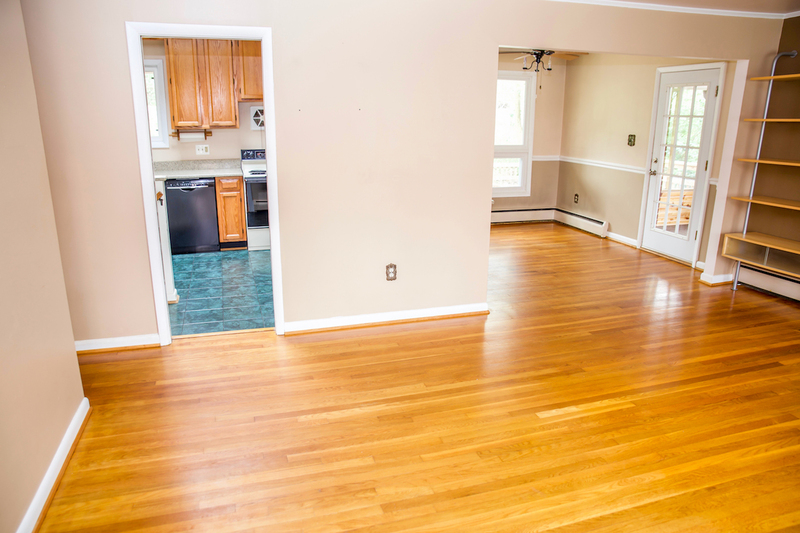 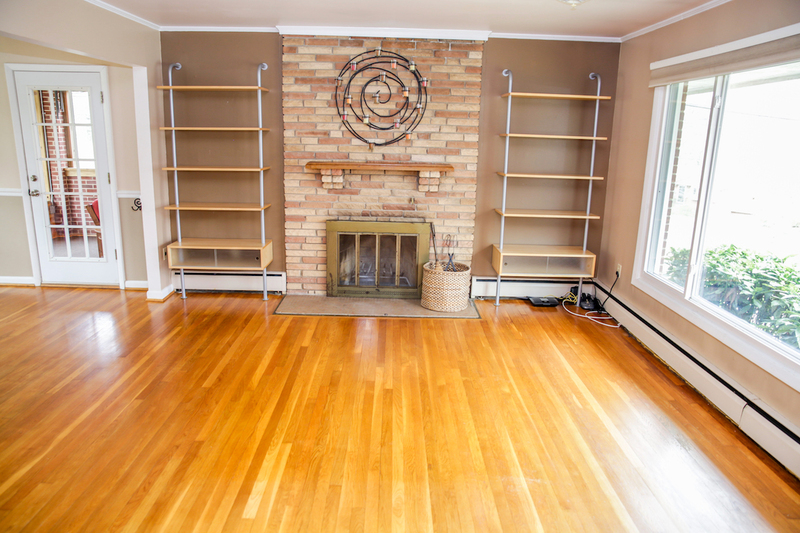 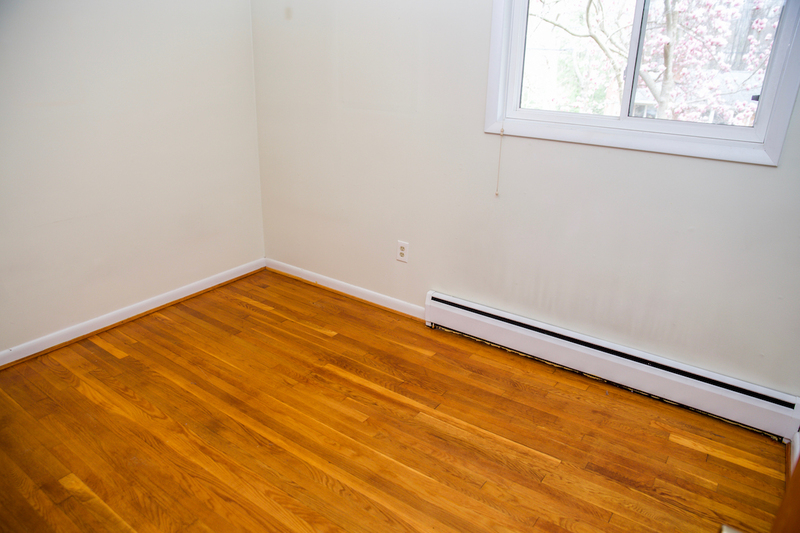 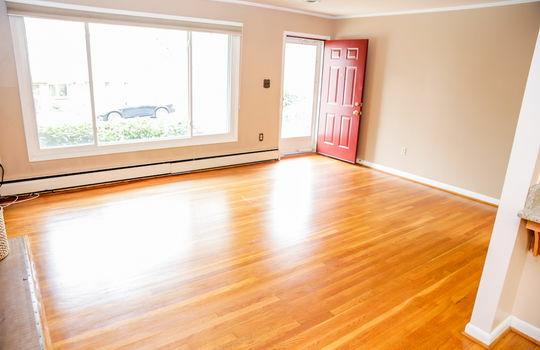 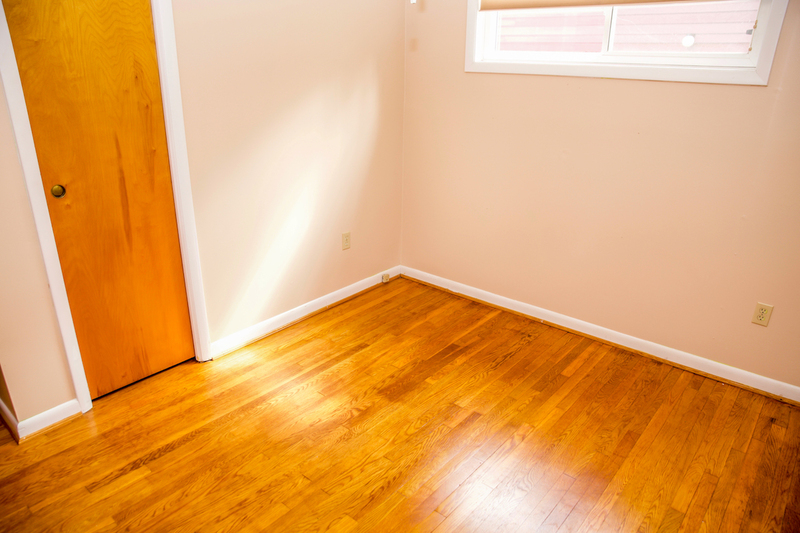 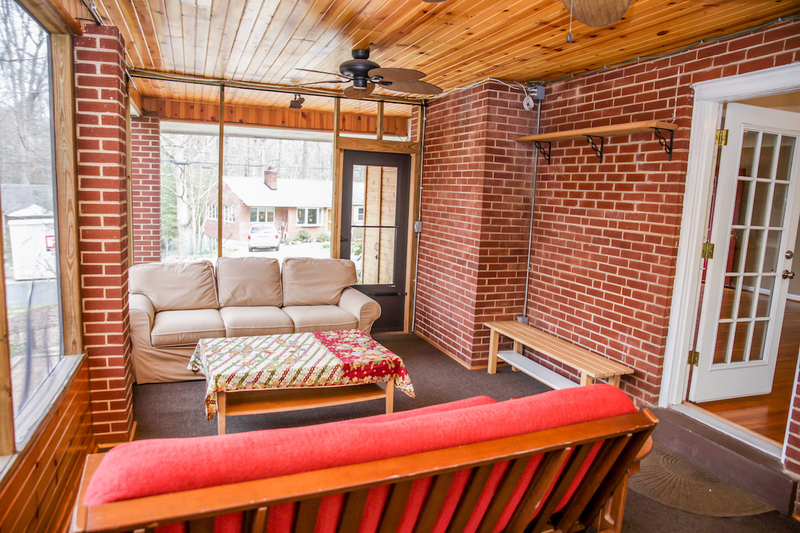 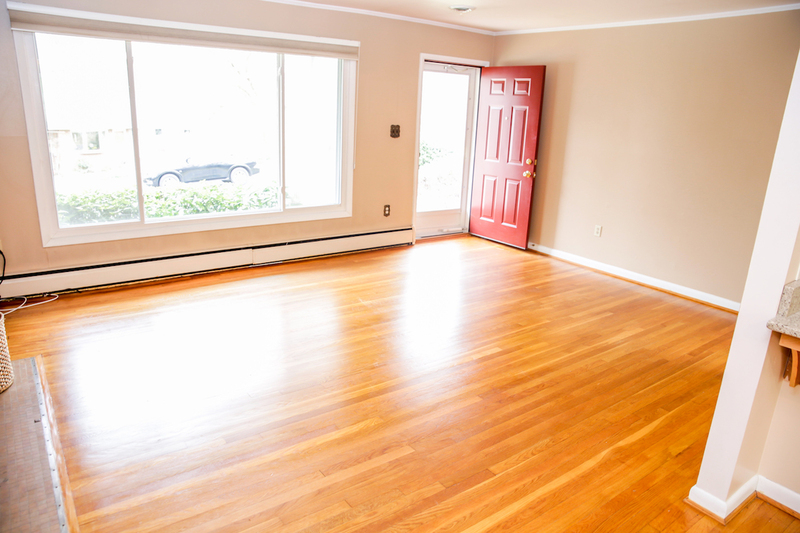 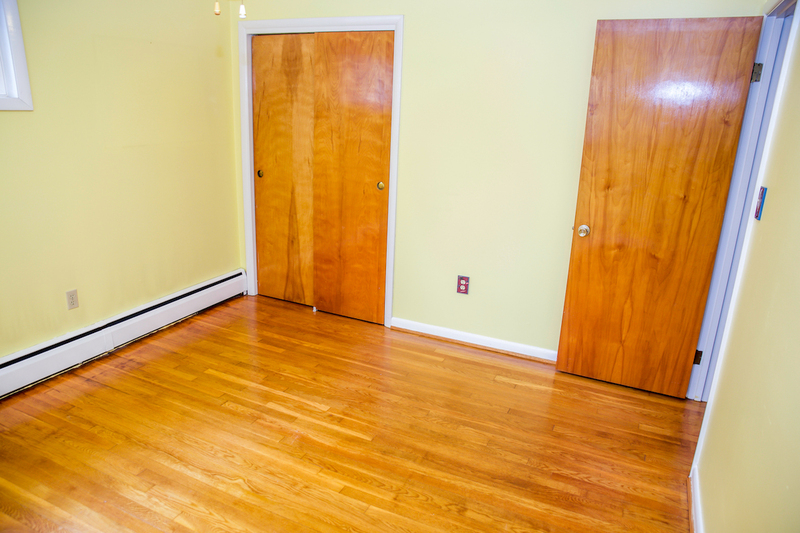 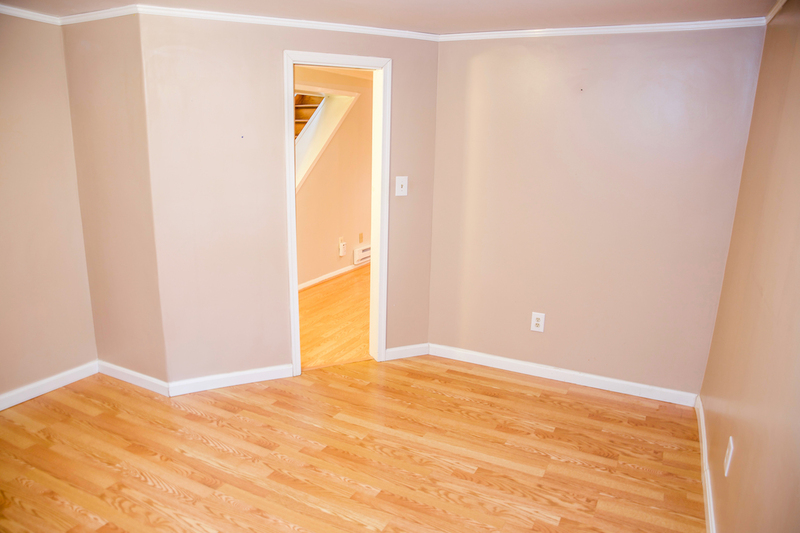 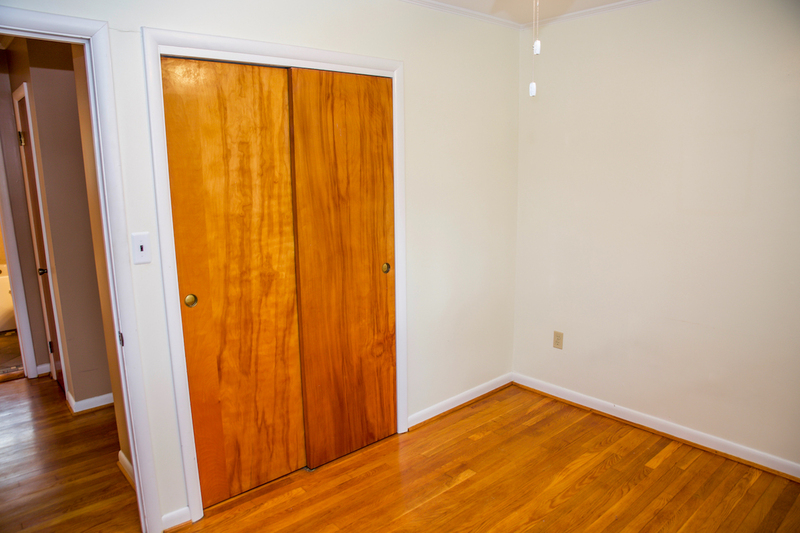 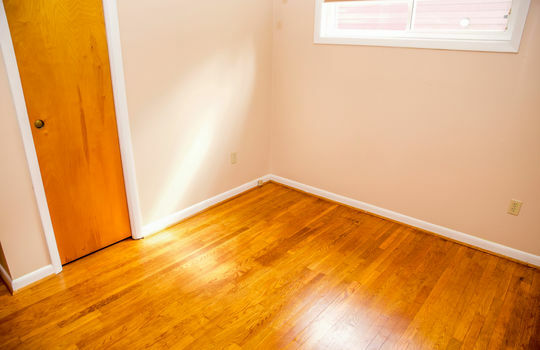 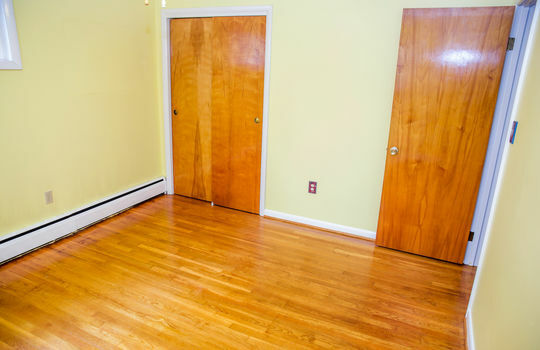 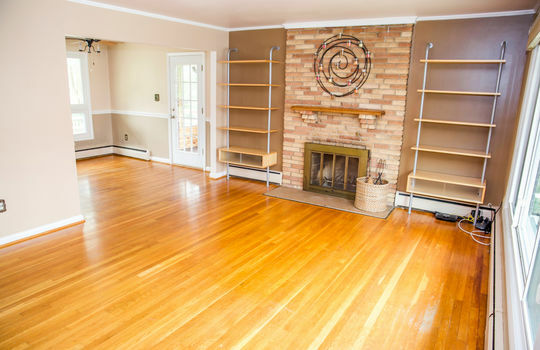 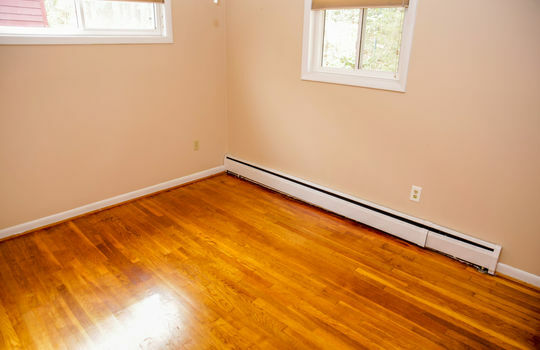 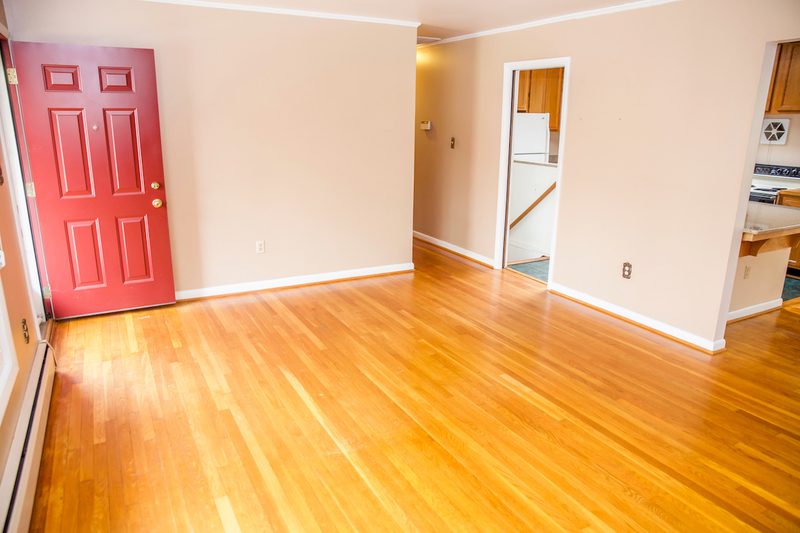 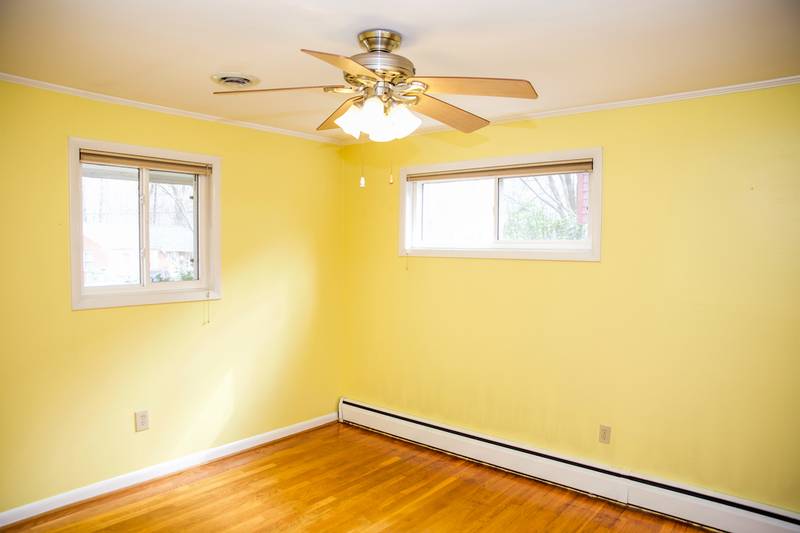 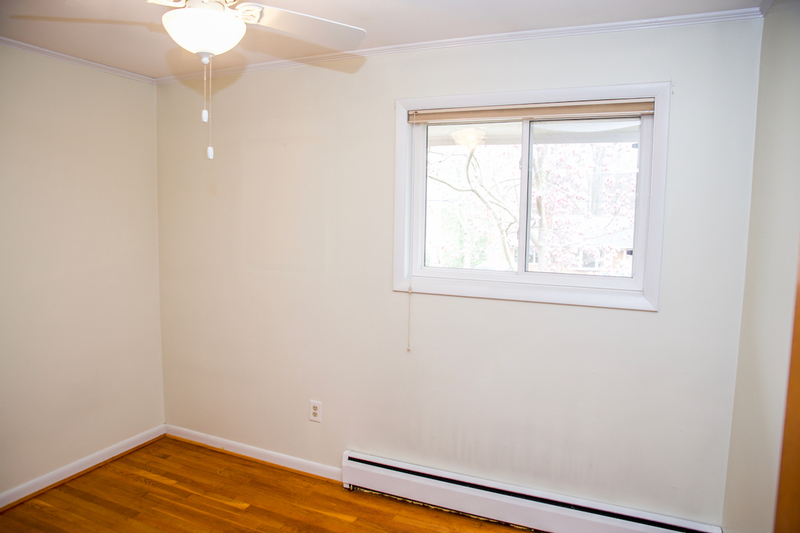 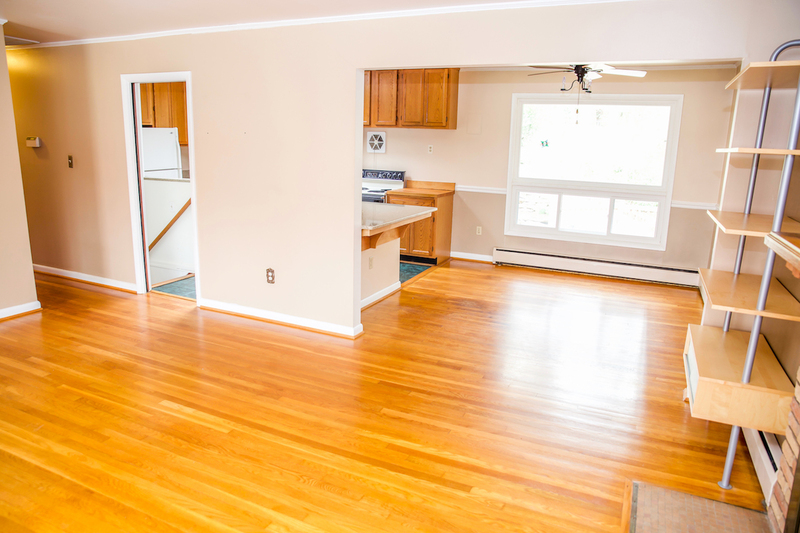 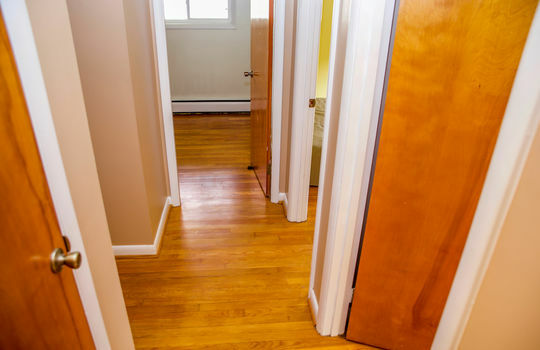 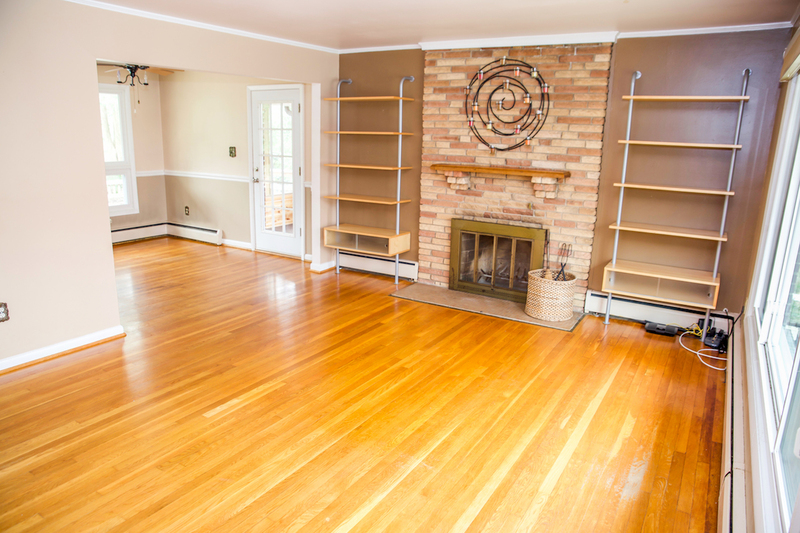 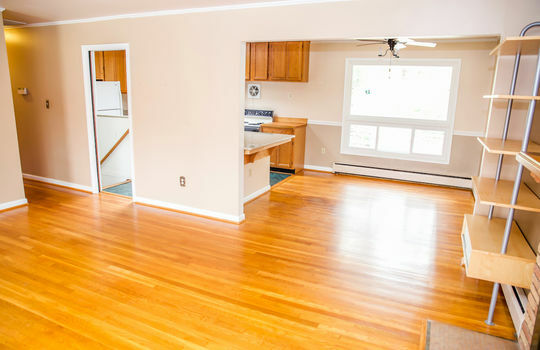 Beautiful original hardwood floors extend from the living room down the hall and into the three upstairs bedrooms. 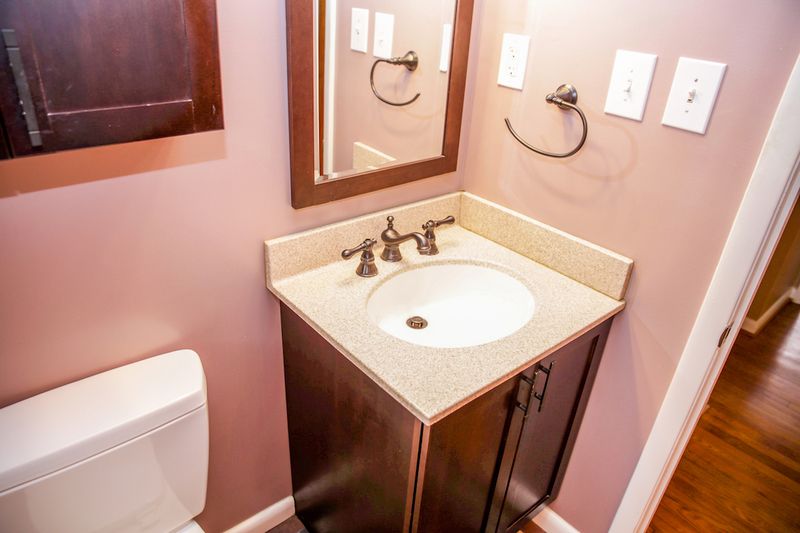 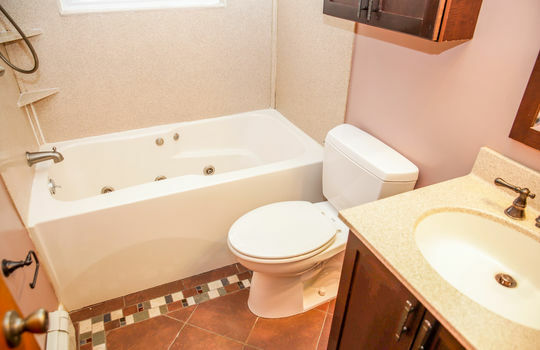 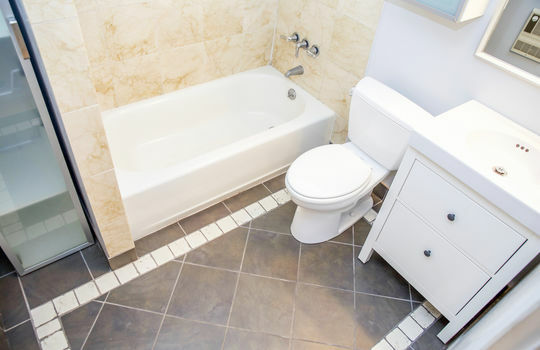 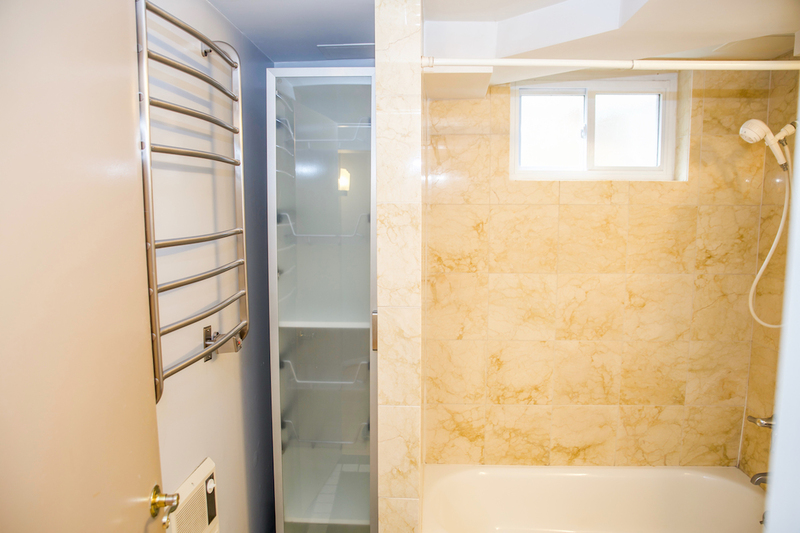 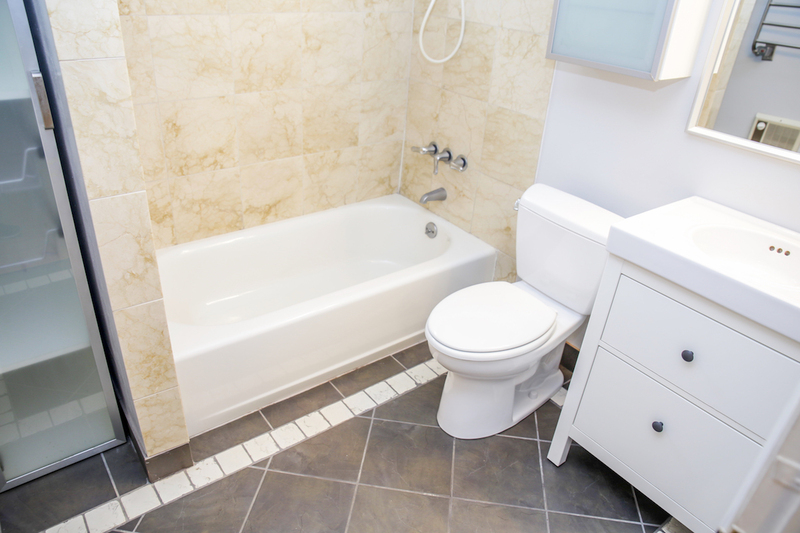 The upstairs bath has a deep soaking tub with jets, and custom floor and wall tile. 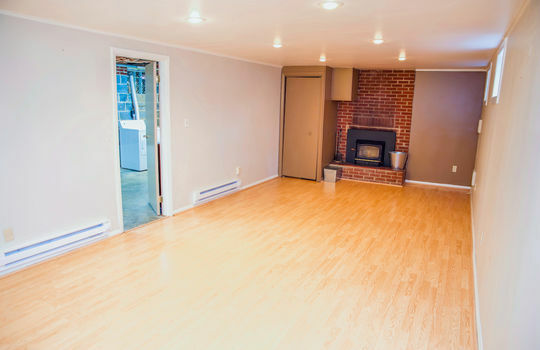 Take the stairs down to the lower level for a generously sized family room with a second fireplace--this one fitted with a wood-burning stove. 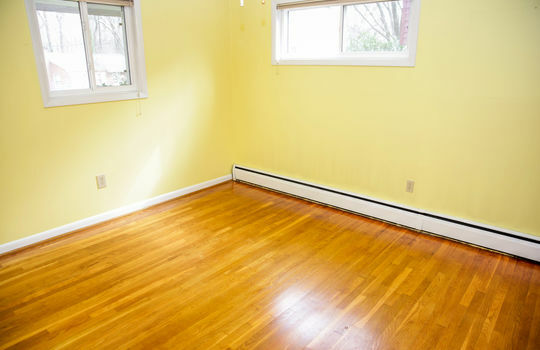 Though there are baseboards on the lower level, the current owners saved significantly on heat costs by using the wood-burning stove exclusively. 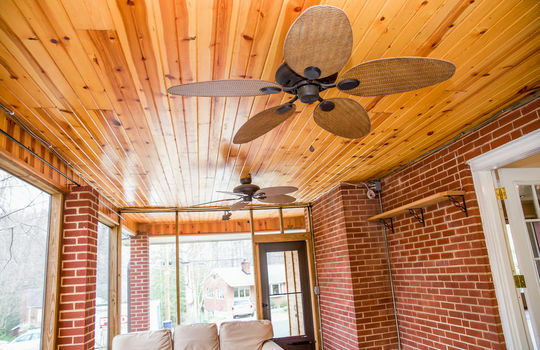 It's that warm! The lower level includes a bonus room, secluded and quiet for sleeping or working, and a recently installed second full bath with shower. 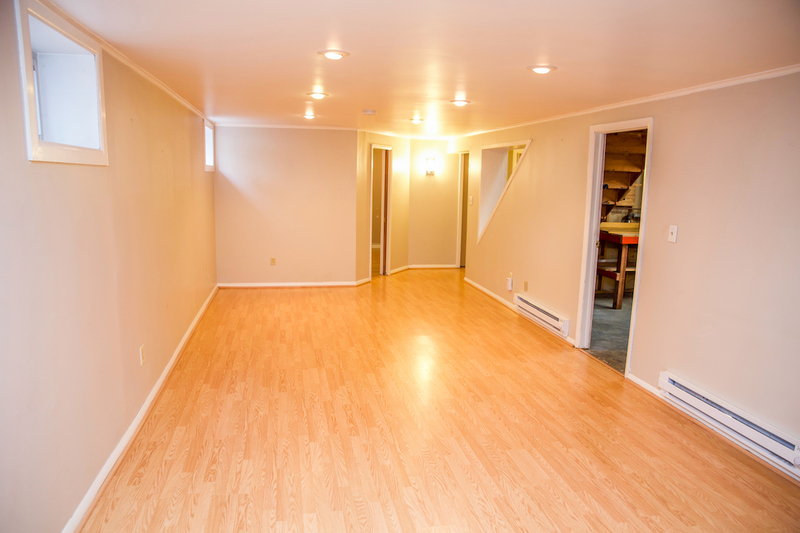 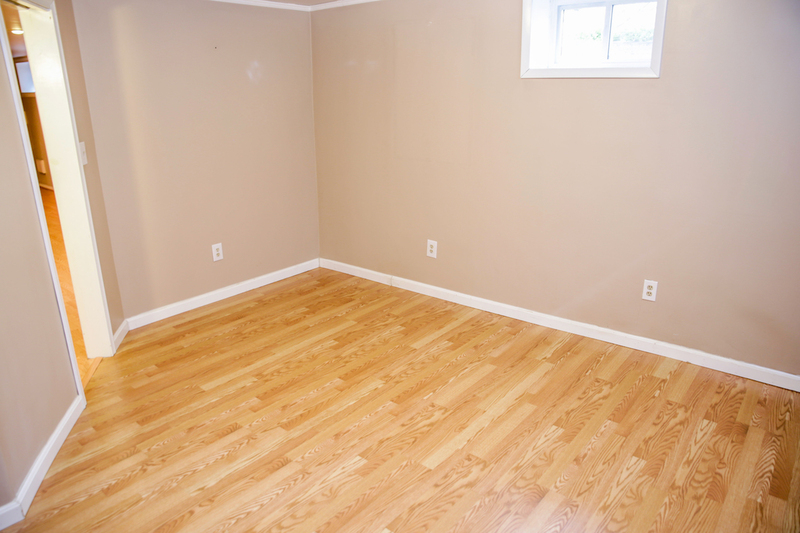 A second bonus room includes floor-to-ceiling built-in storage (Warehouse club shoppers rejoice!) 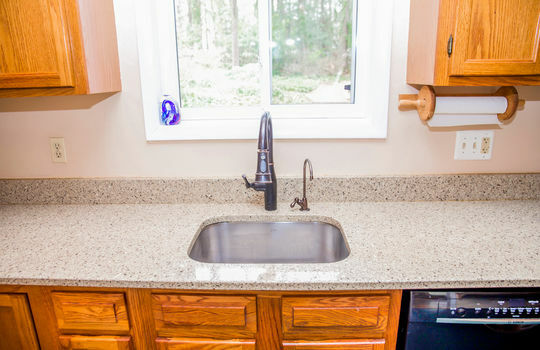 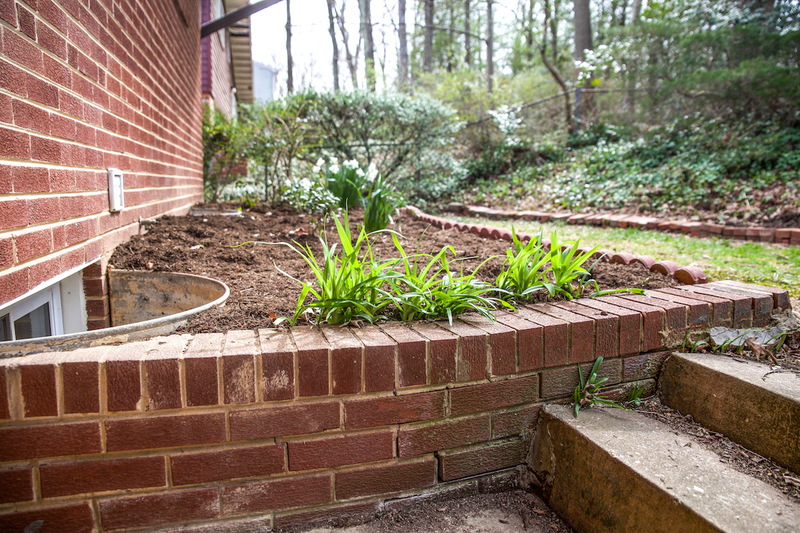 A generous laundry room and workshop have an exterior door to the back yard. 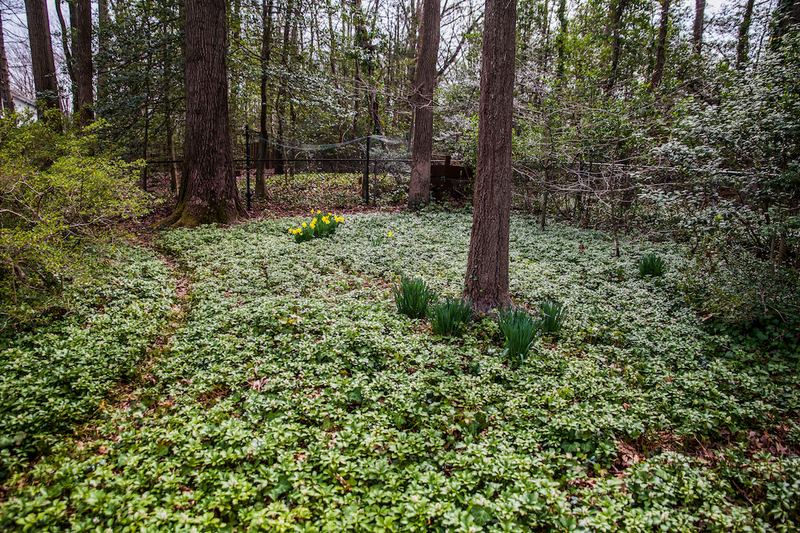 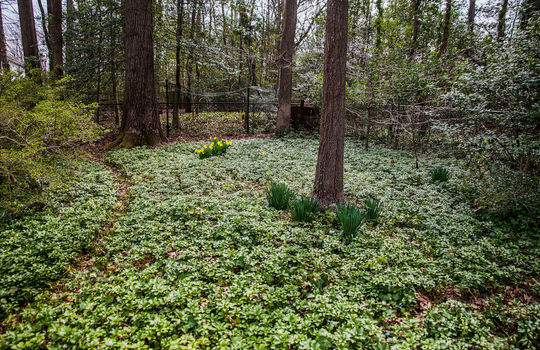 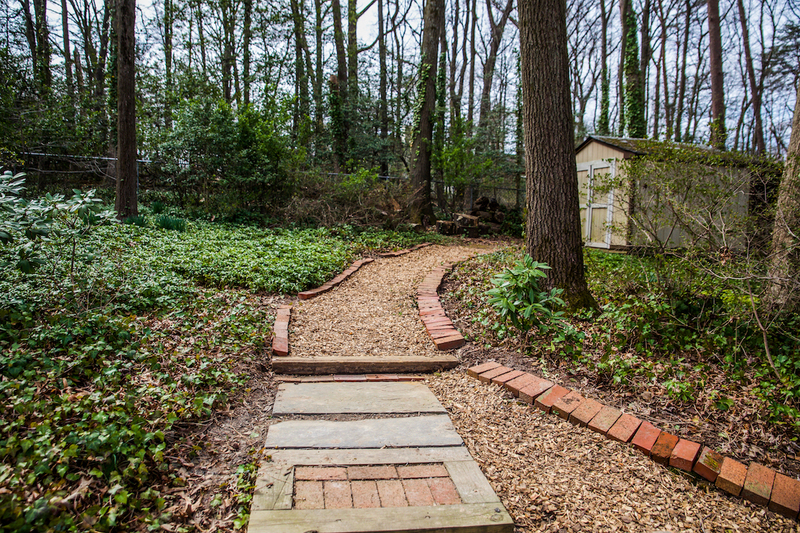 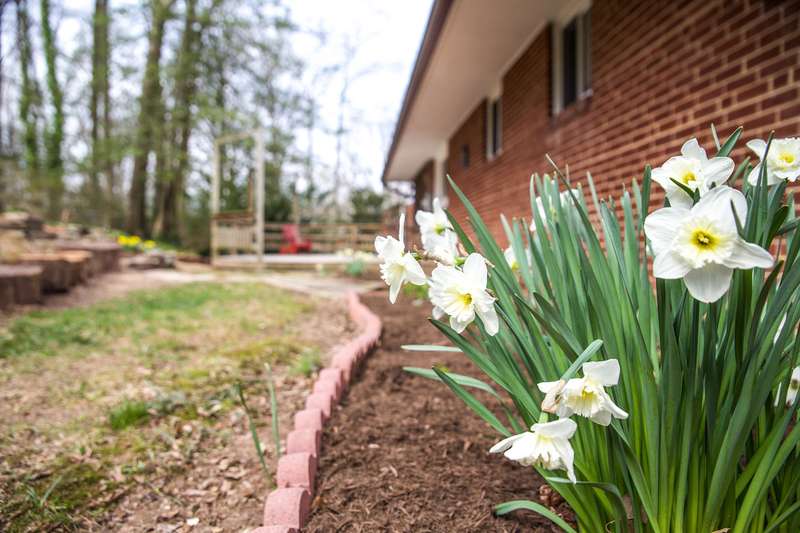 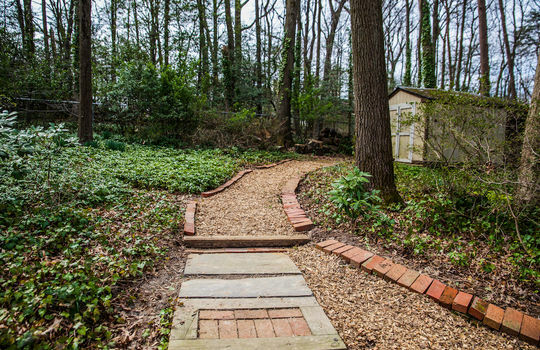 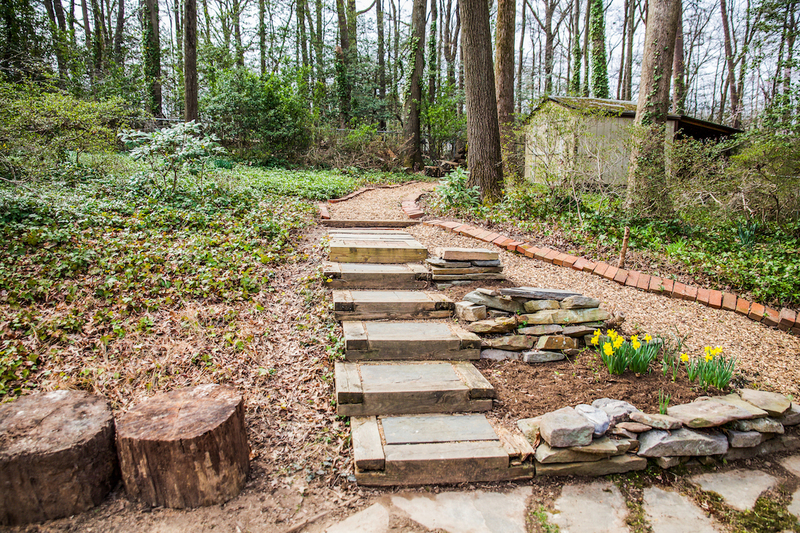 Front and back yards are green and freshly landscaped, with a path leading through the trees to a wooden shed at the rear of the property. 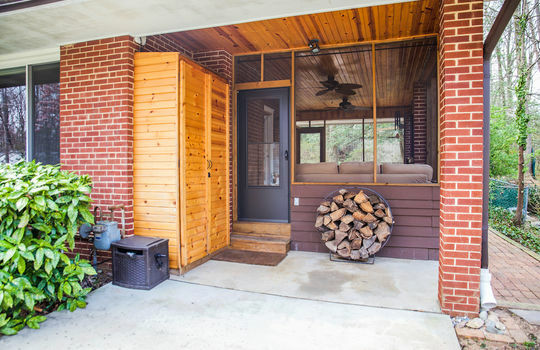 Every corner and detail of this house is well-considered, well-built, and will bring years of comfortable enjoyment to whoever is fortunate enough to make this their next home. The home is located less than two blocks away from Greenbelt Lake, and less than half a mile from Old Greenbelt's town center with shopping, movie theater, cafe, yoga studio, community center, swimming pool and fitness center. 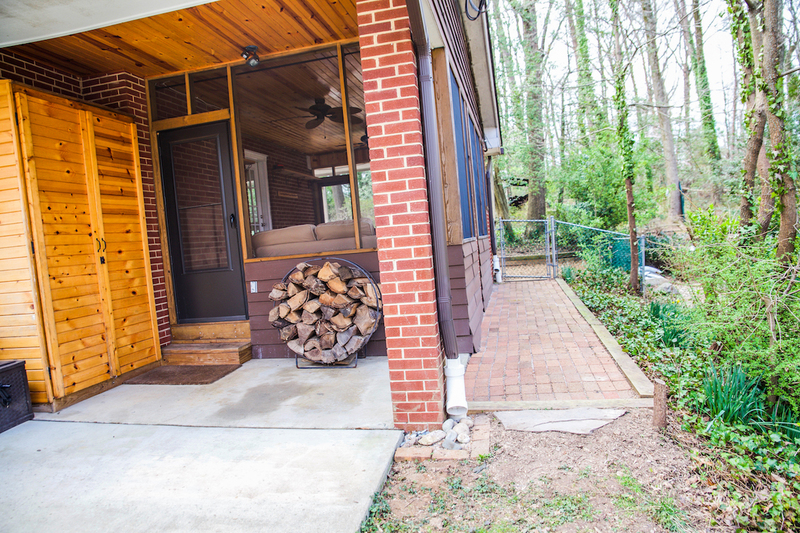 Home doesn't get much better than this. 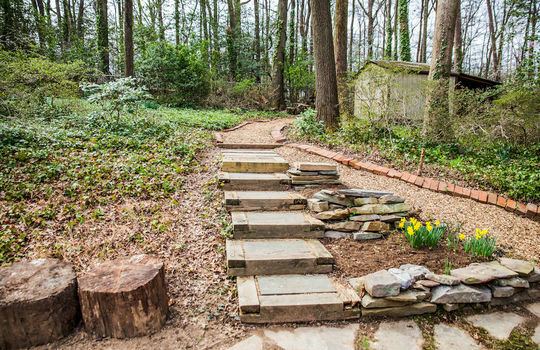 Join us Apr 13th from 1-3pm!